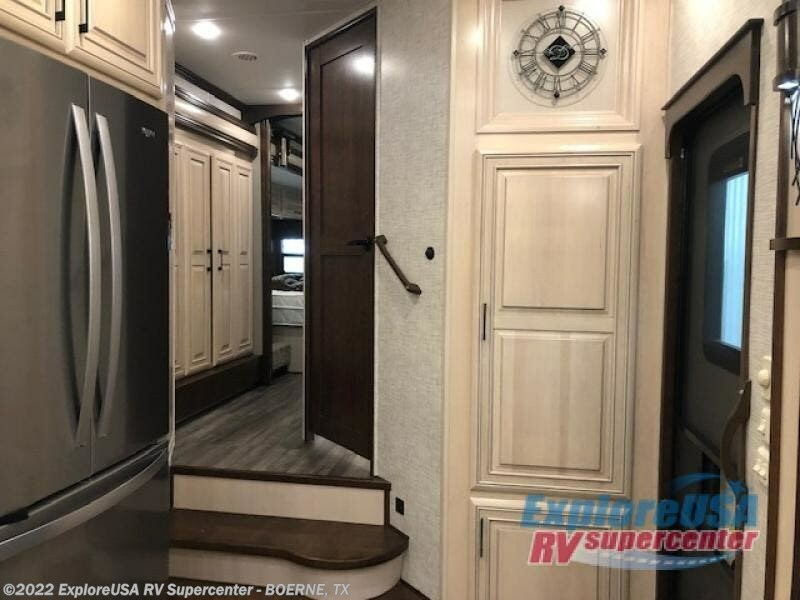 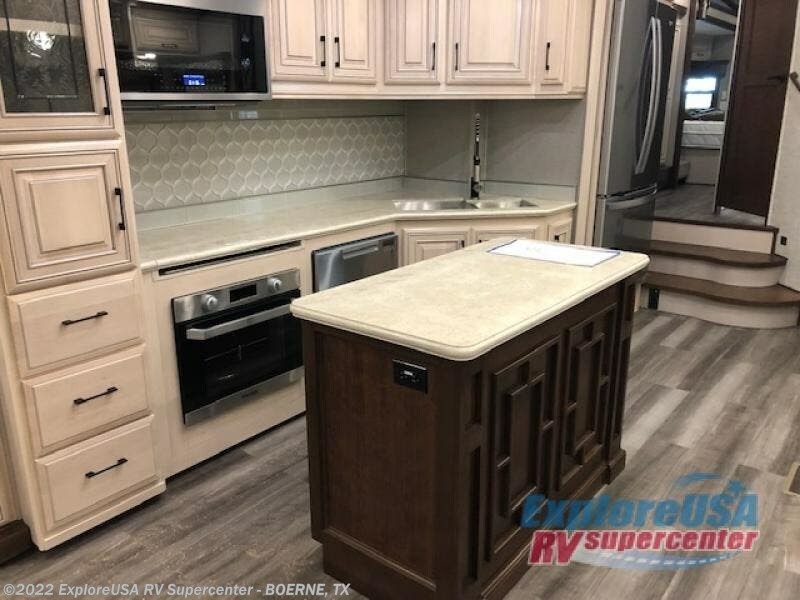 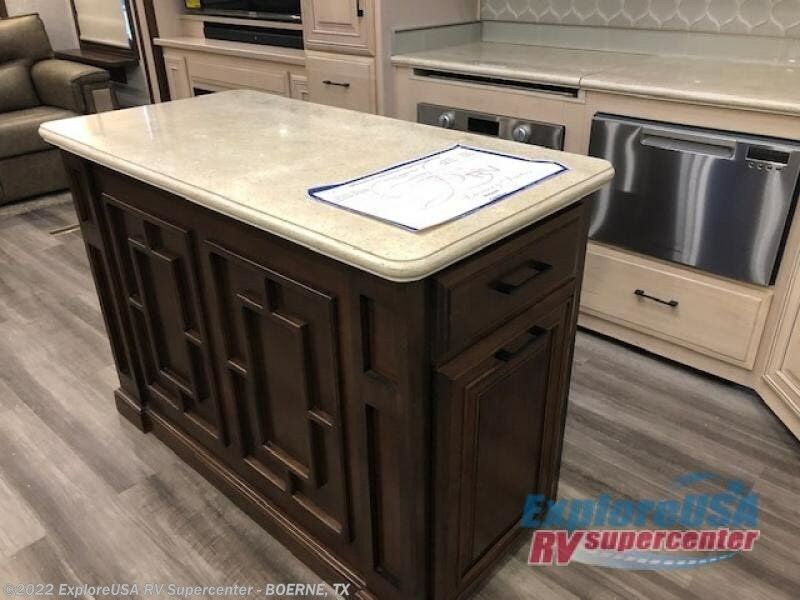 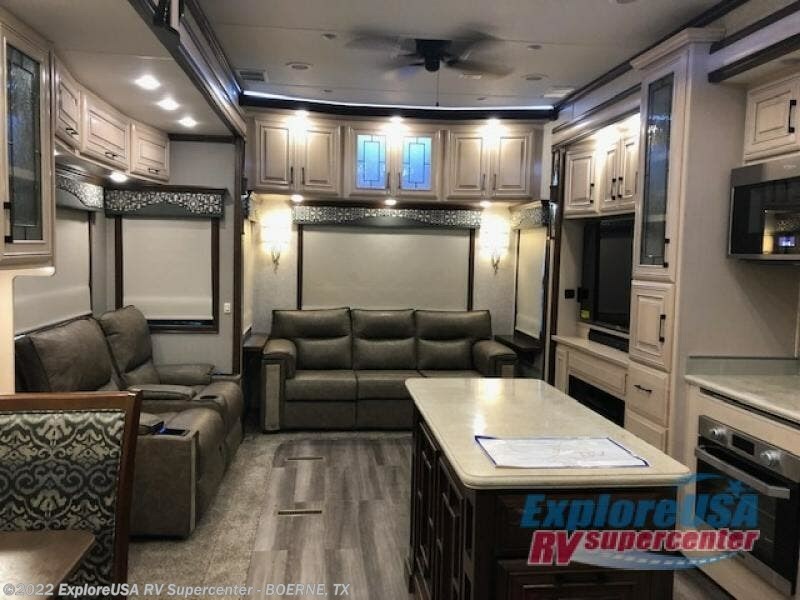 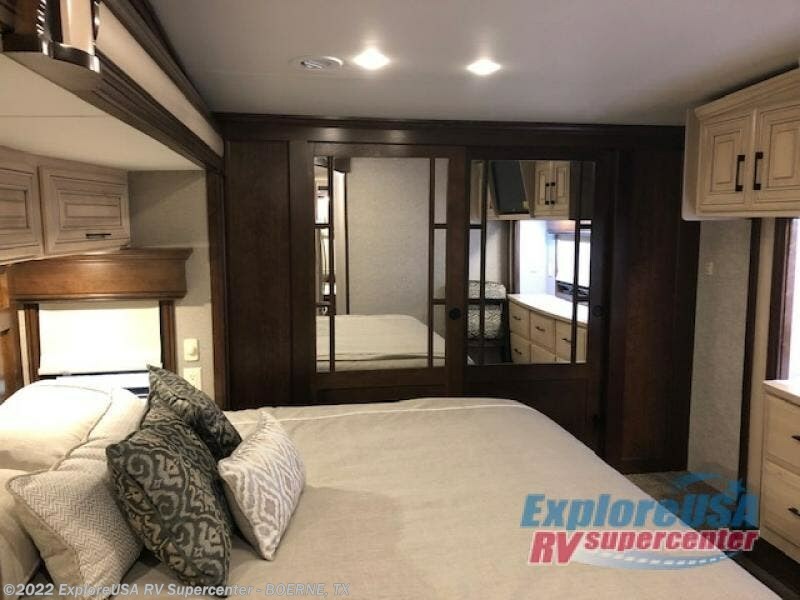 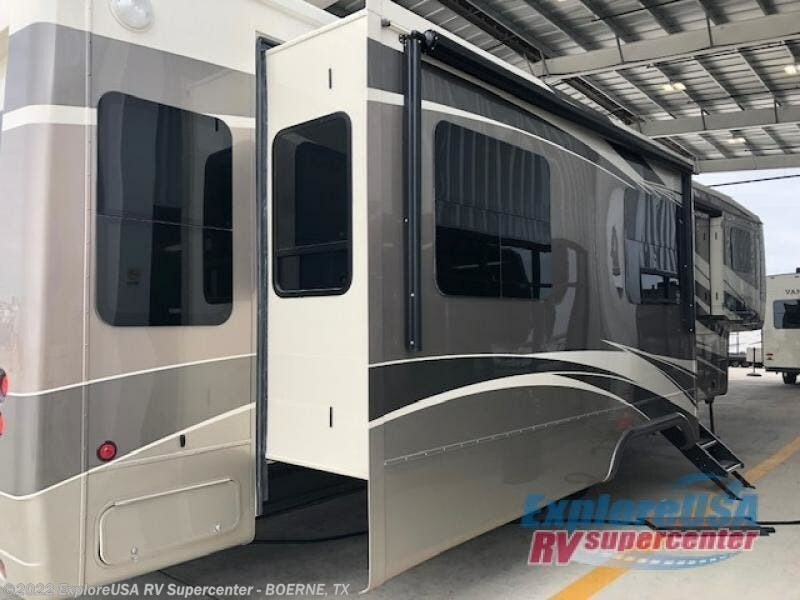 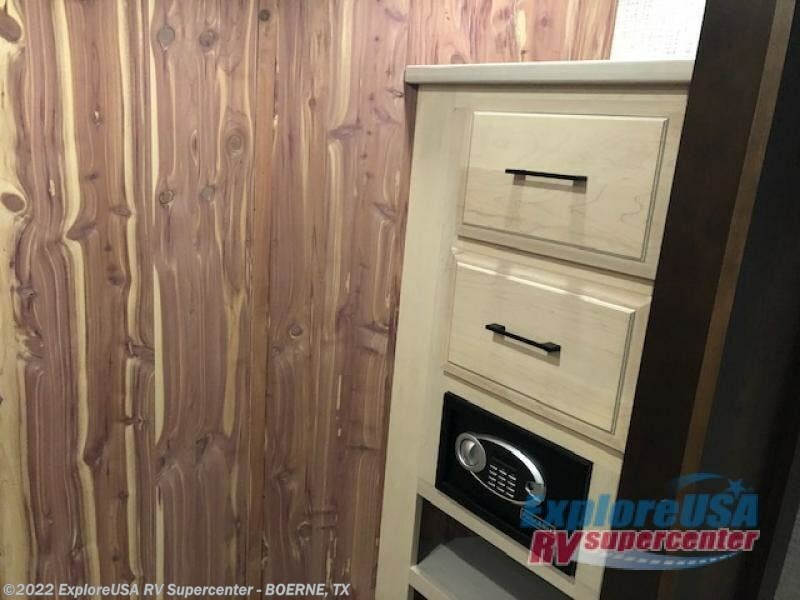 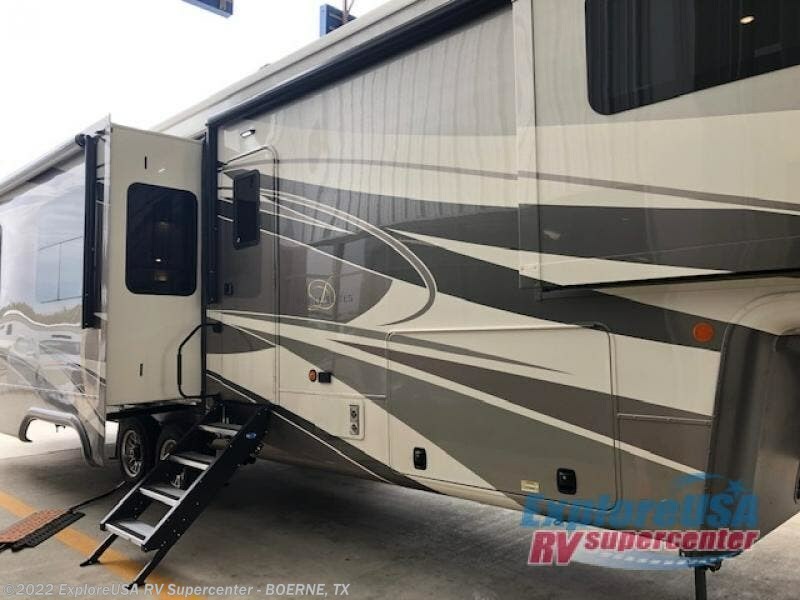 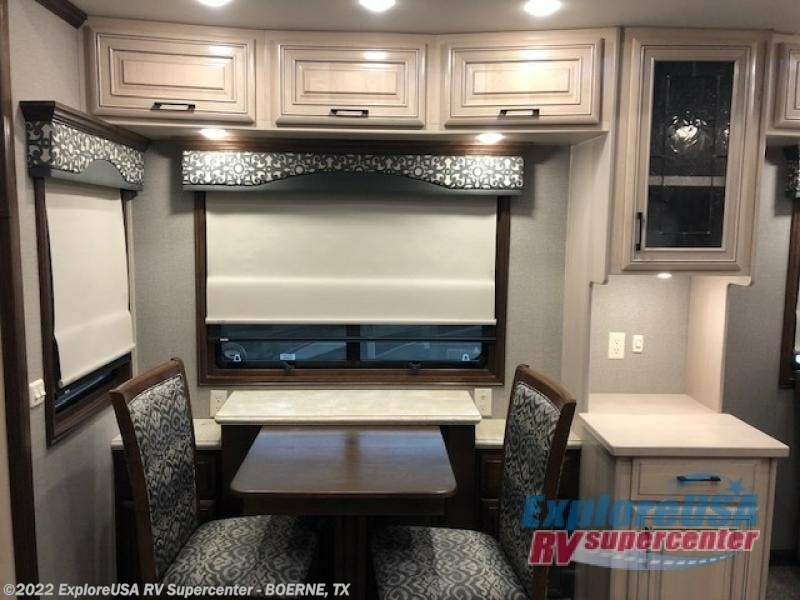 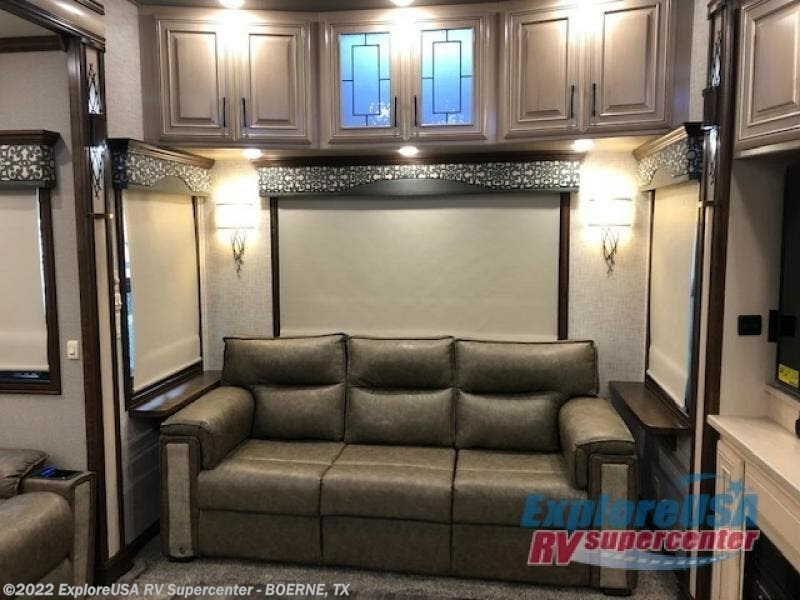 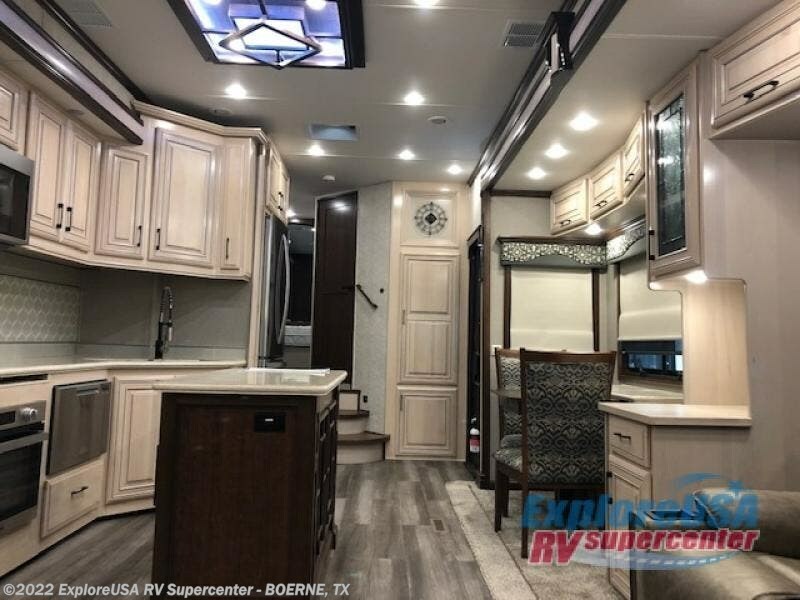 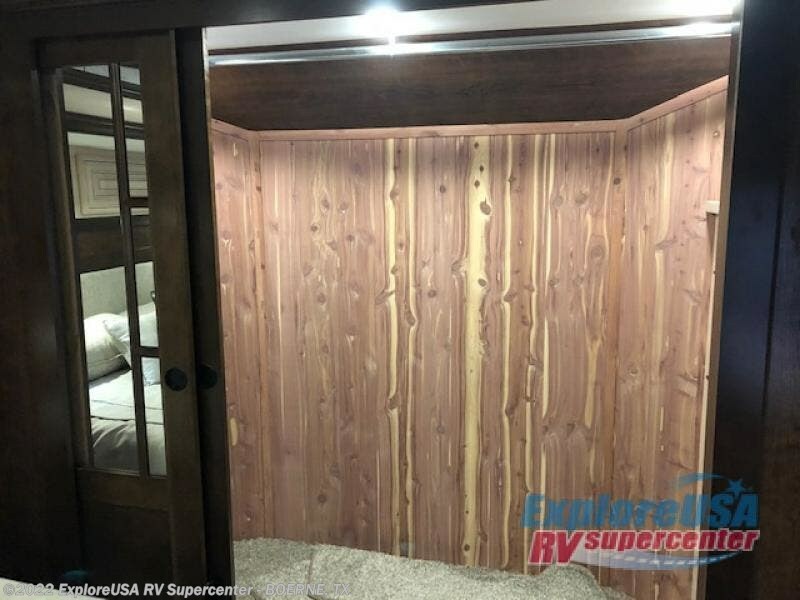 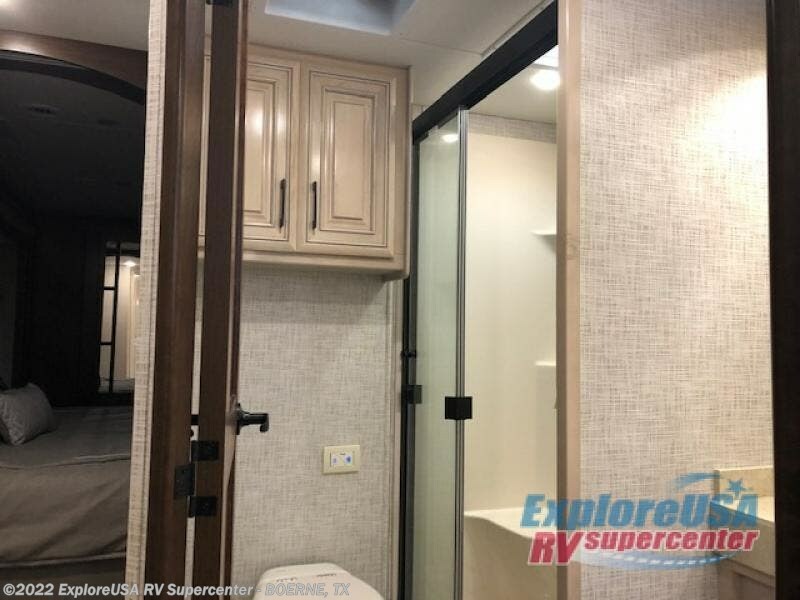 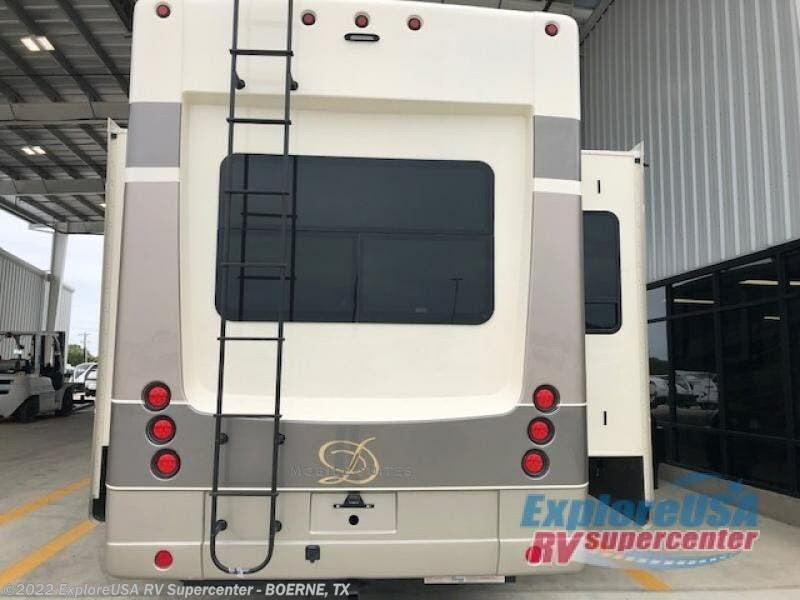 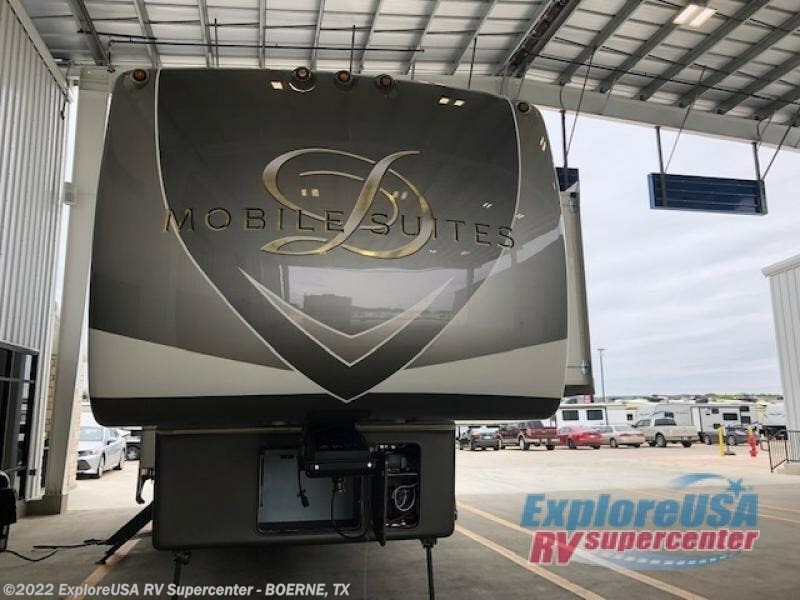 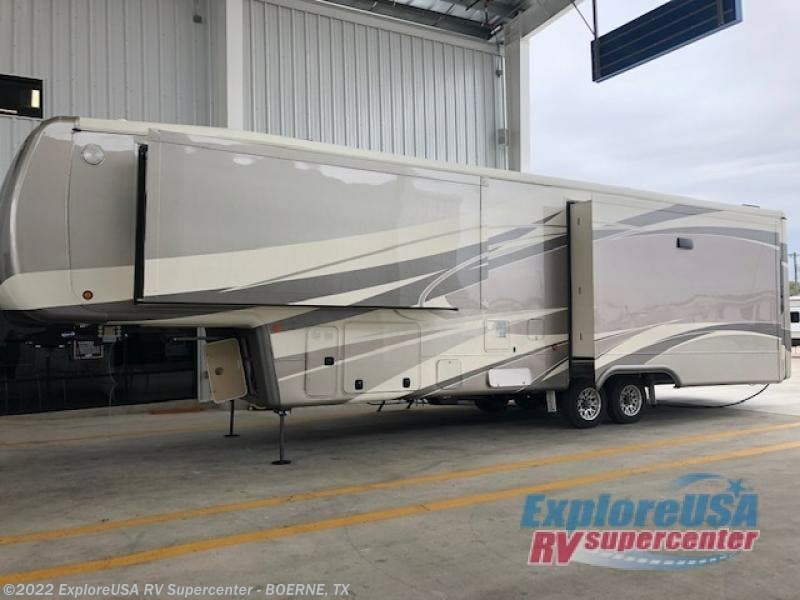 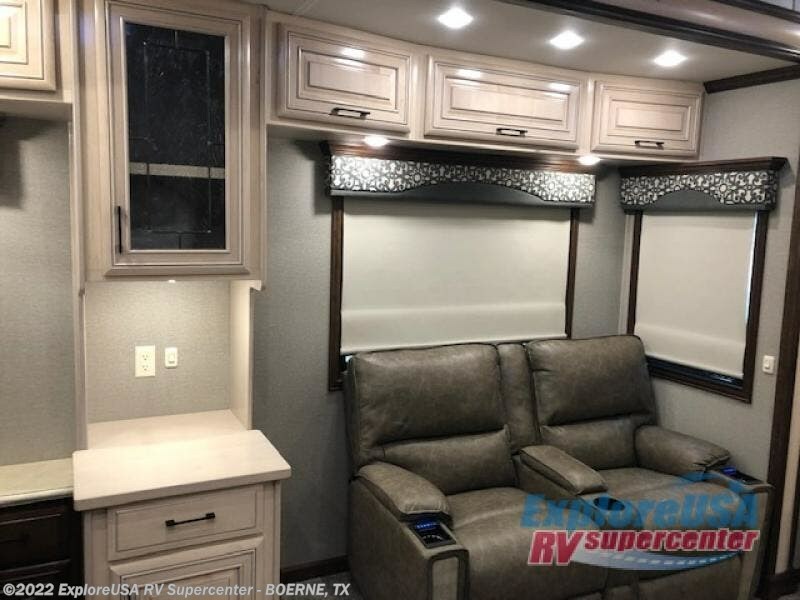 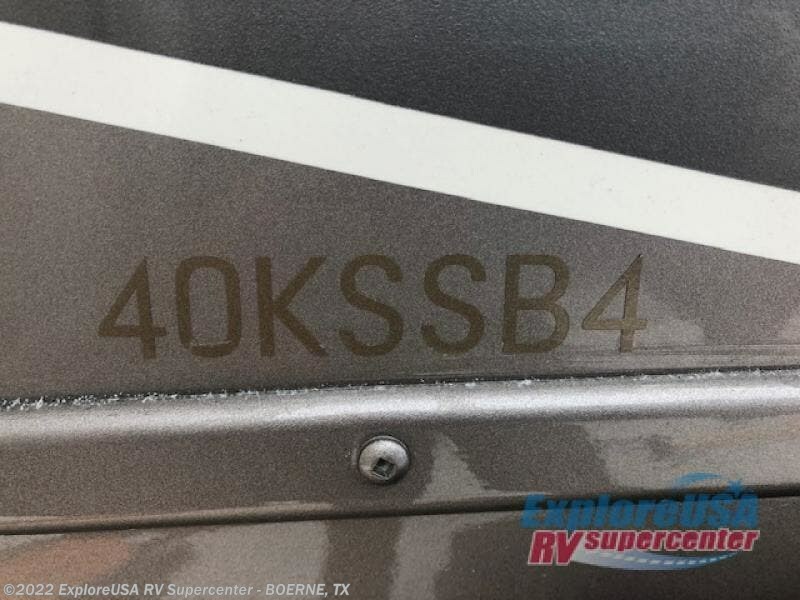 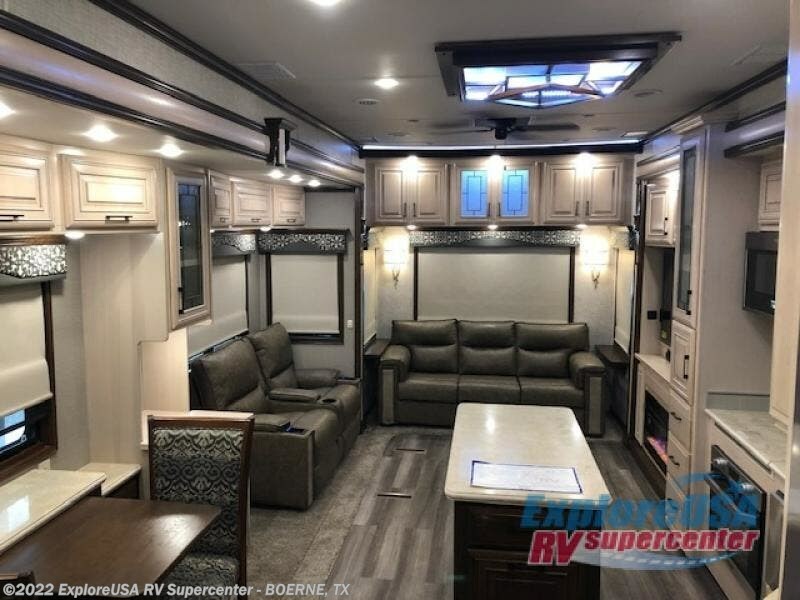 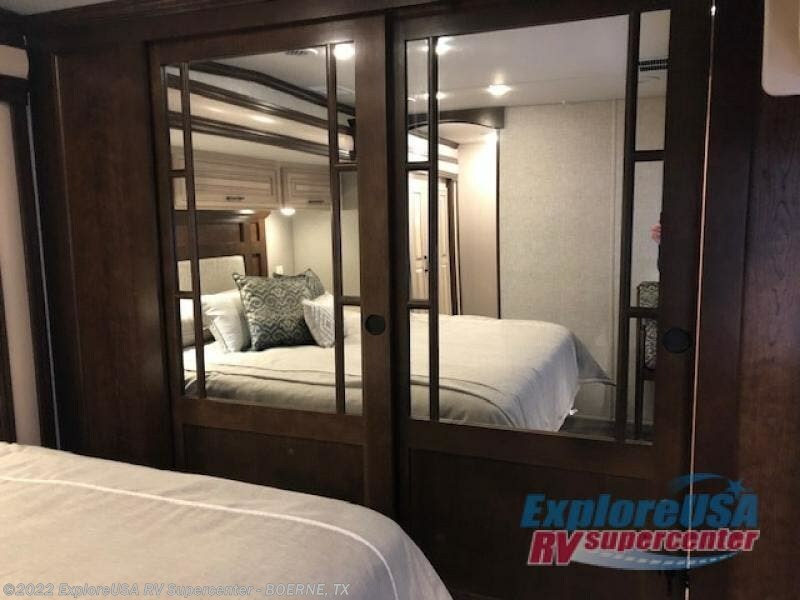 If you are looking to upgrade your camping lifestyle, then you need this Mobile Suites luxury fifth wheel. 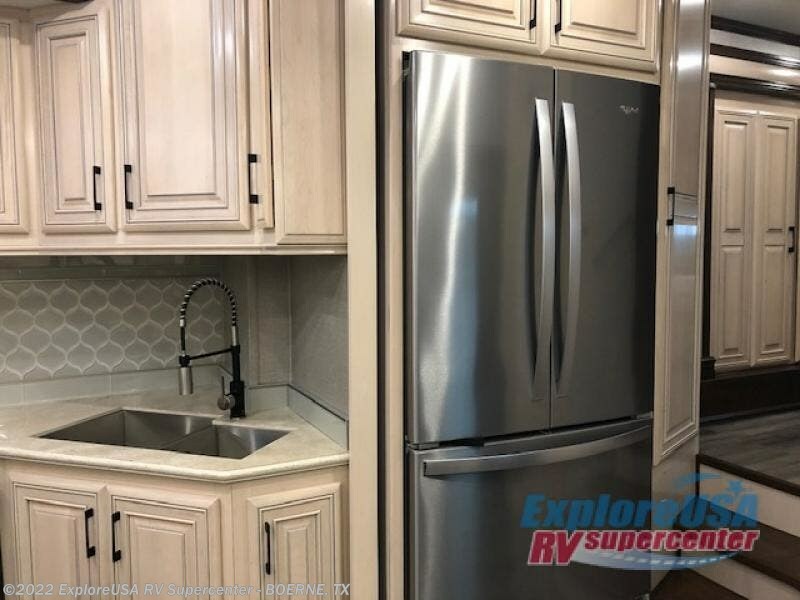 From its private bedroom with a king-size bed and walk-in closet to its fully loaded kitchen with a three-burner range top and center island, this unit will knock your socks off with all of the high-class amenities it contains. 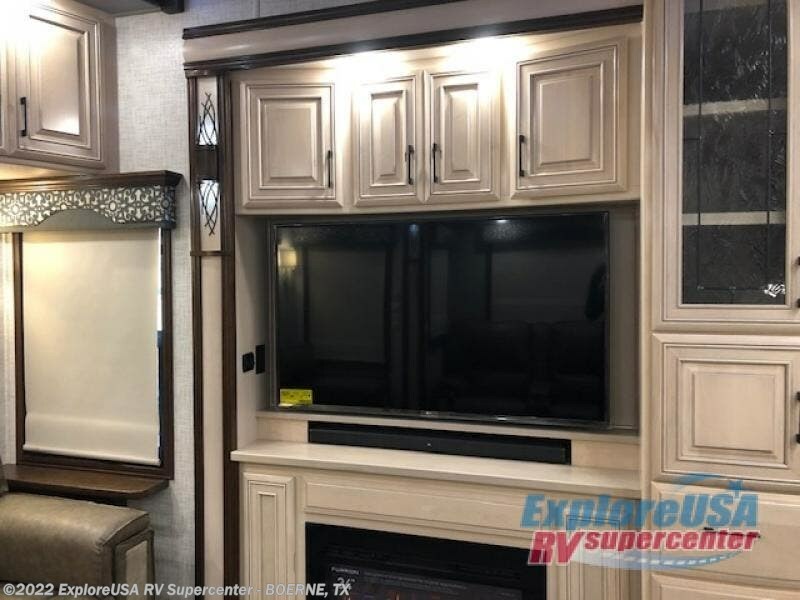 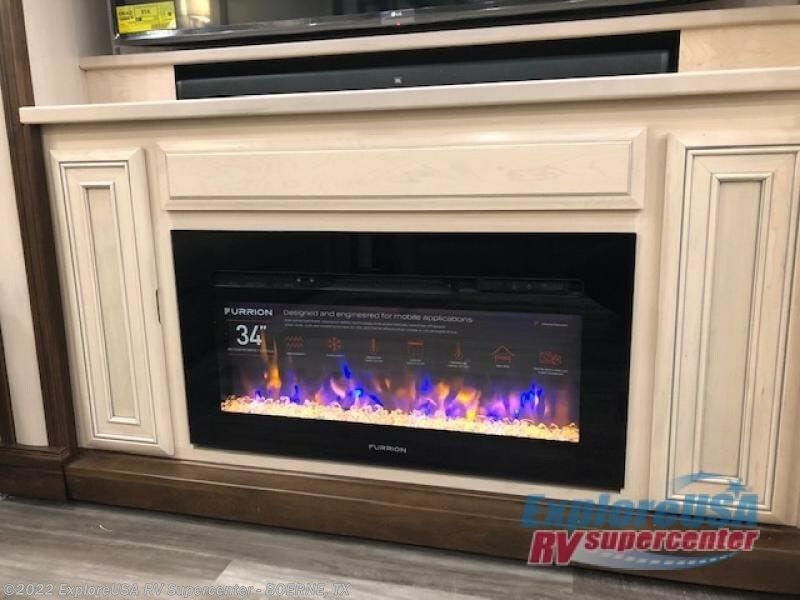 Whenever you find yourself in disagreement over what to watch on the 55" LED Smart HDTV in the living room, you can retreat back to the bedroom where you can watch your own shows on the 32" LED TV that rests on one of the four slides in this unit. 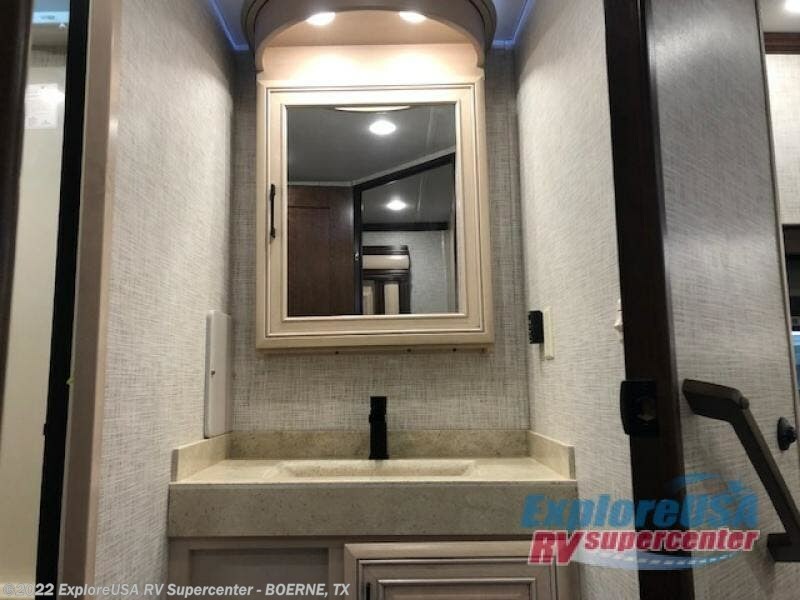 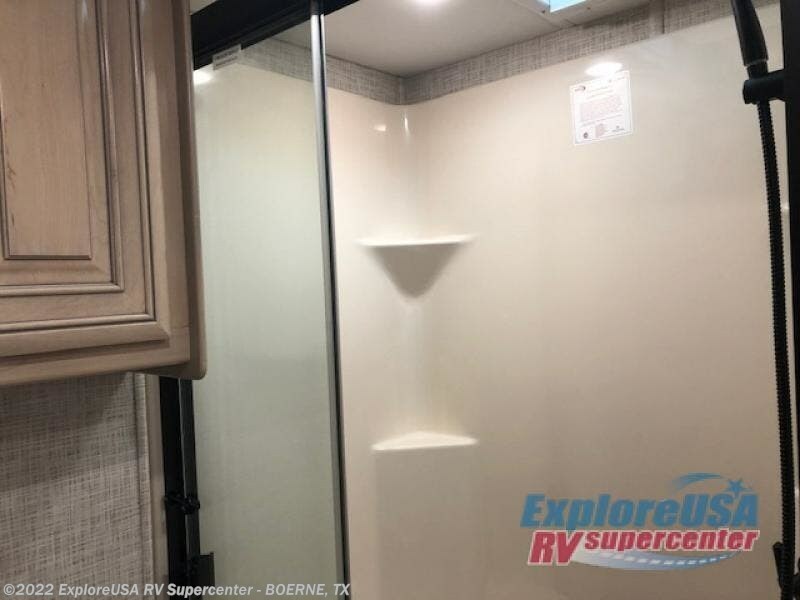 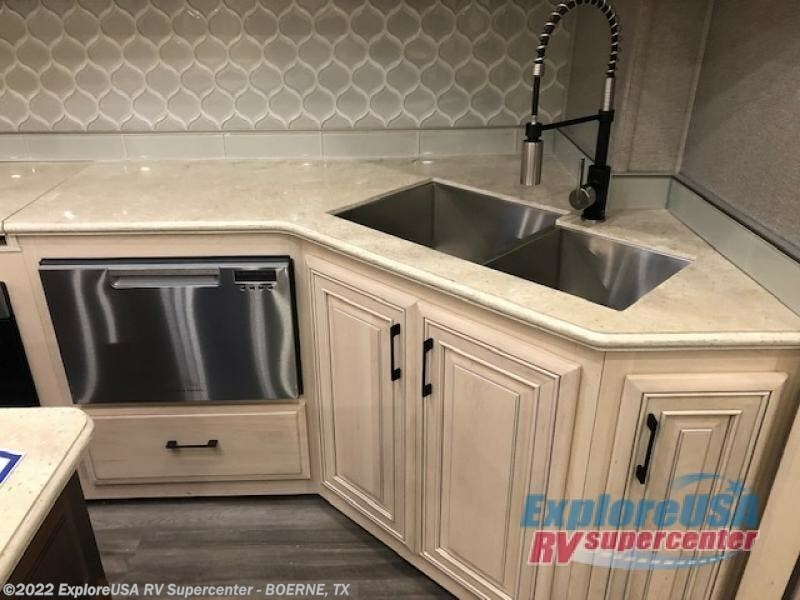 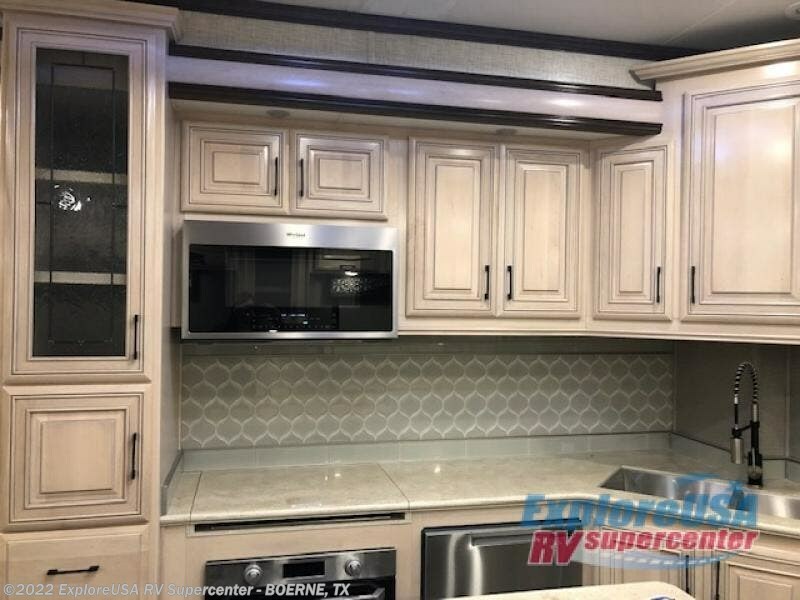 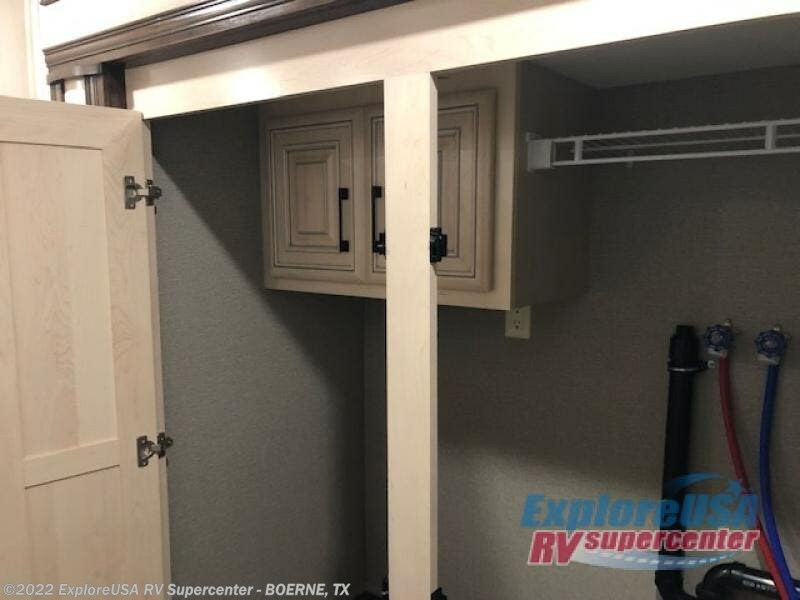 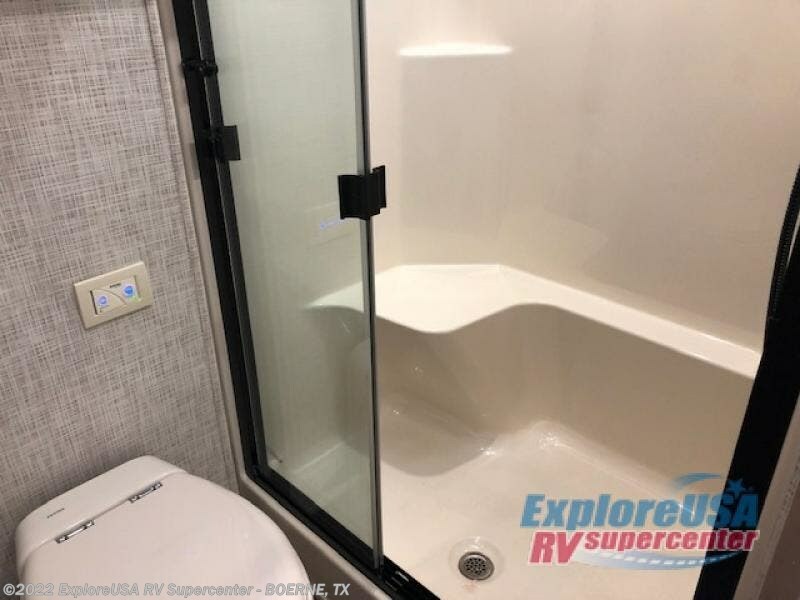 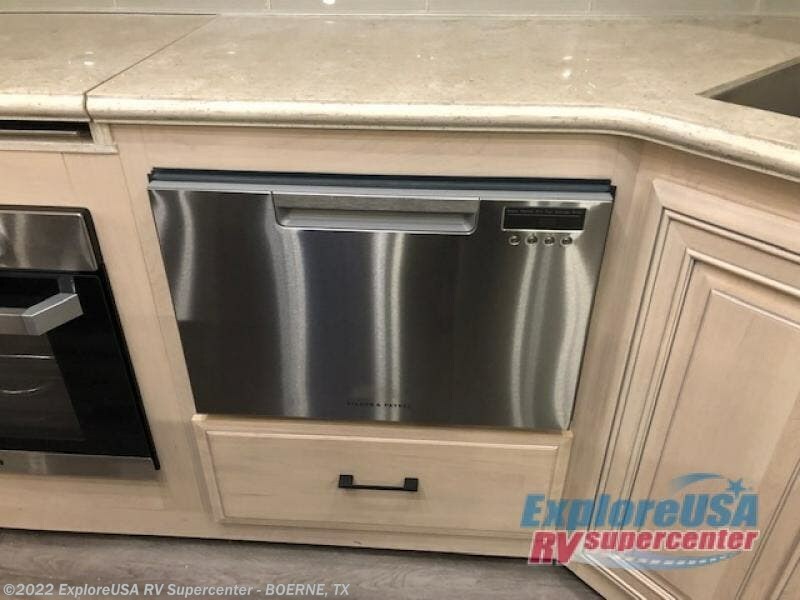 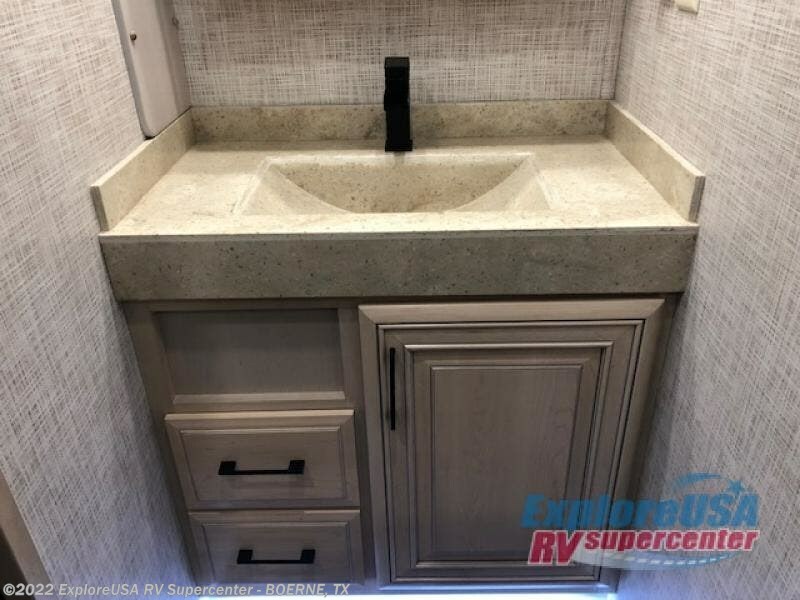 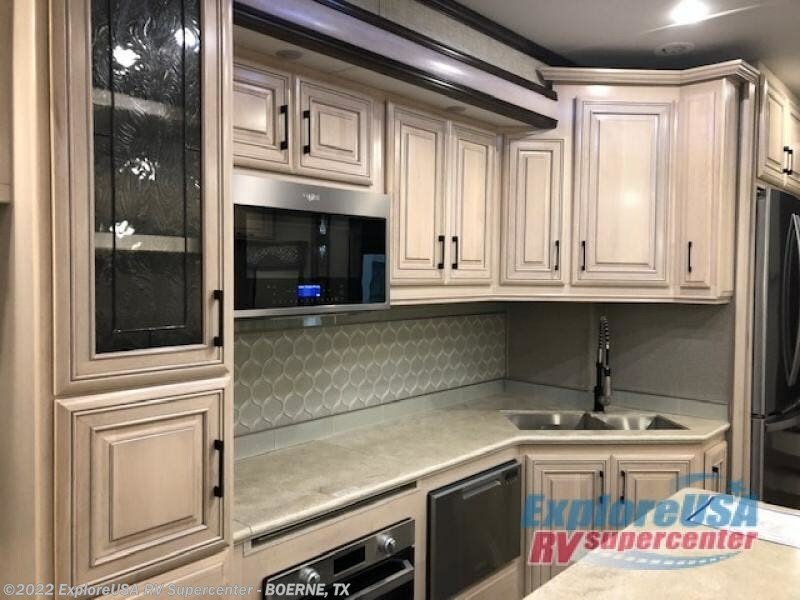 No matter where you travel or how you vacation, you won't be able to escape the luxury and elegance that you will find in one of these Mobile Suites fifth wheels. 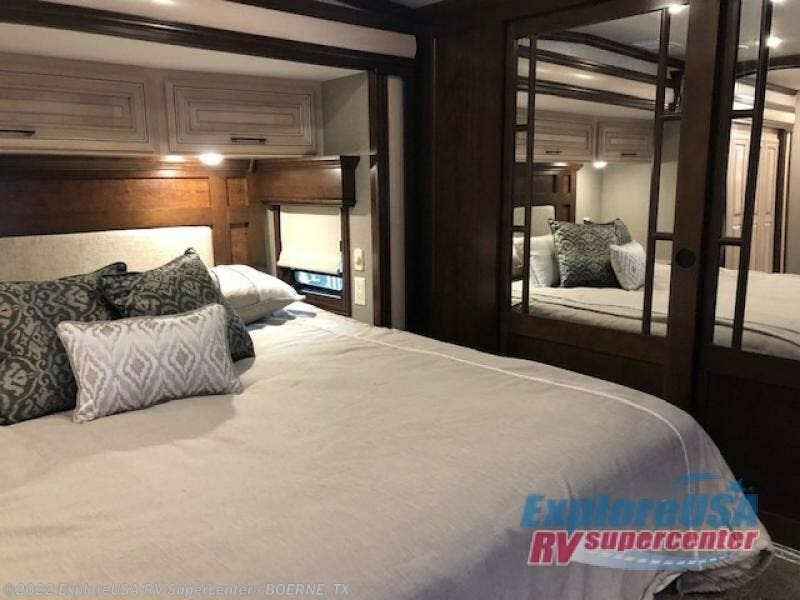 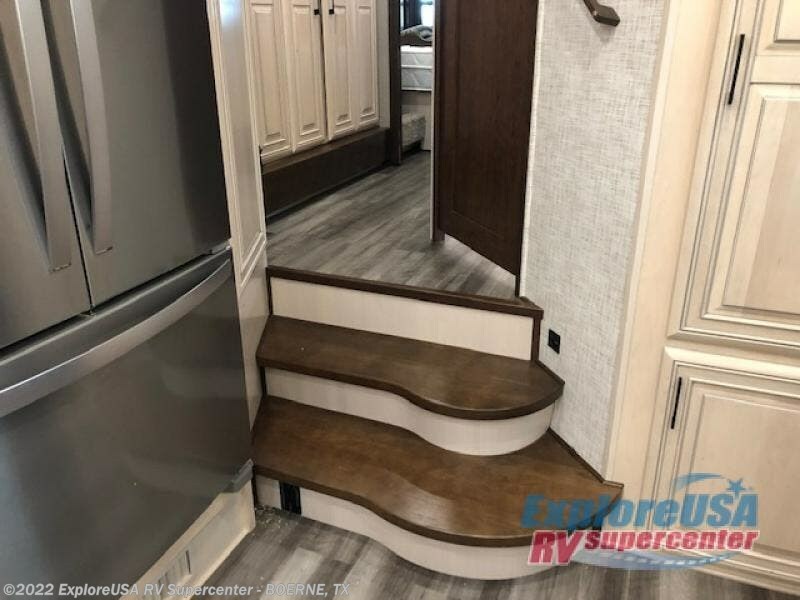 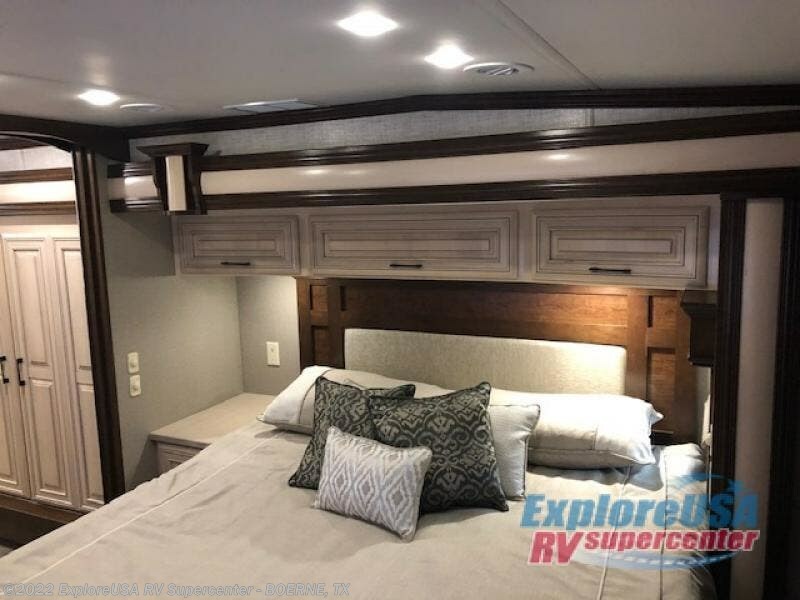 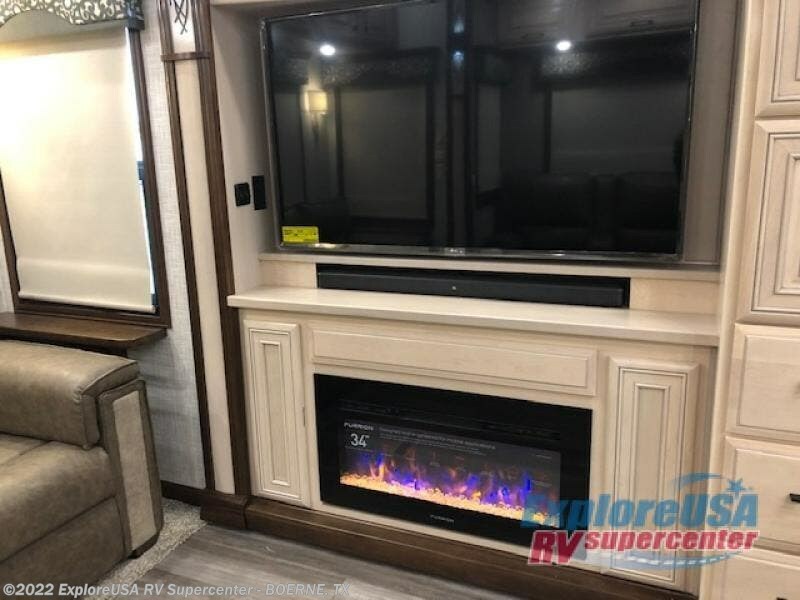 From its very foundation, the Mobile Suites has been crafted with DRV's custom-engineered 101" wide frame, which is the largest, most rigid fifth wheel frame in the industry. 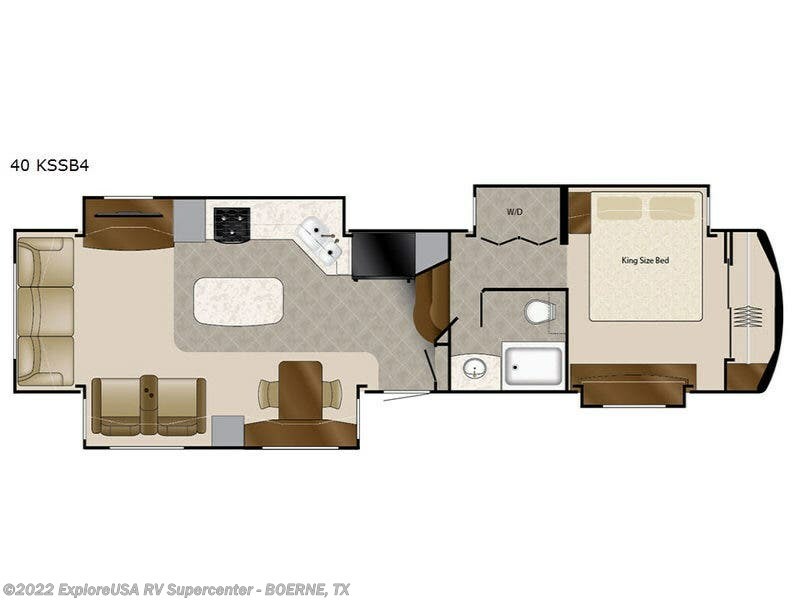 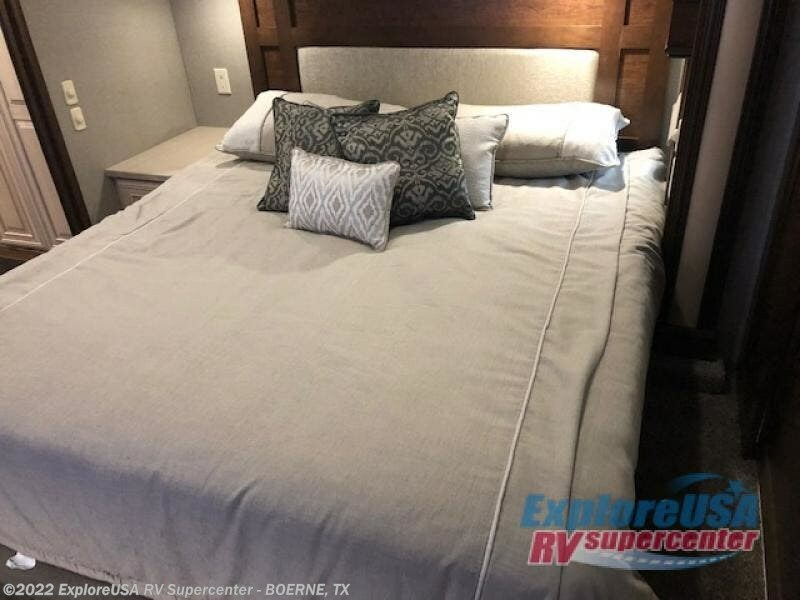 As for the interior, you won't be able to find a more extravagant unit than the Mobile Suites because each kitchen contains an impressive 20 cubic foot stainless steel French door refrigerator, and each private bedroom contains a king-size bed with an innerspring mattress. 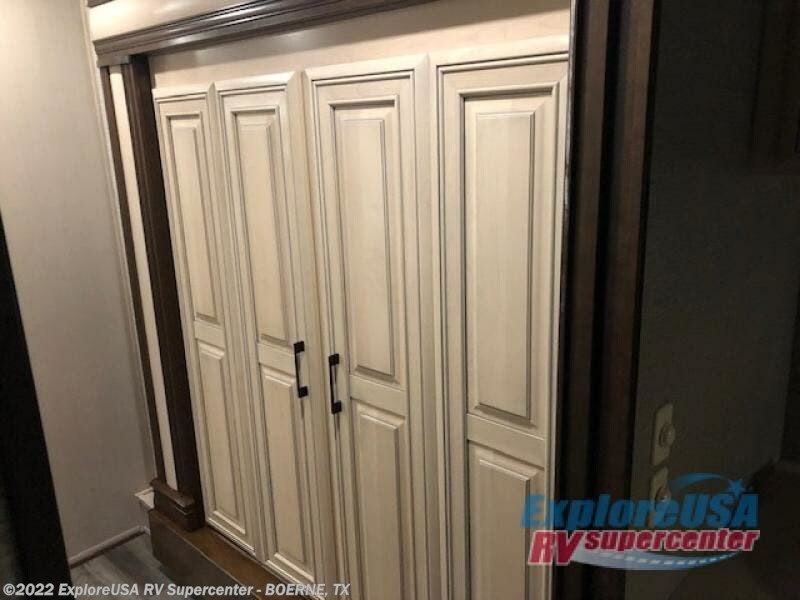 The beautiful crown molding that has been included throughout the interior will continue to impress you time after time, and the 8' tall slides will not only add elegance to the entire unit, but will also provide exceptional functionality as you go about your daily routines.